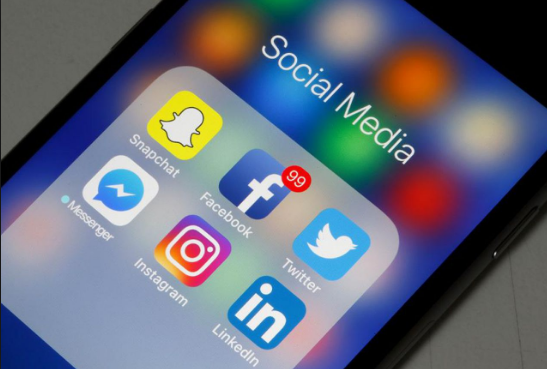 Whether you’re an individual looking for a job or a business trying to earn more clients, it almost always pays to have more followers on social media. More followers means a wider reach for your content, more connections to draw upon for questions, discussions, and favors, and a more quantifiable measure of your authority (for people checking you out for the first time). The problem is, earning those high numbers of followers is daunting, and sometimes impractical. The other thing to keep in mind is that more followers isn’t always a good thing—in fact, over-inflated numbers of spammy, nonexistent, or disinterested followers can do more harm to your reputation than good. Ever since social media sites have exploded in popularity, there have been people offering “X number of followers” for a specific monetary price. These services rely on fake accounts and robots to provide those follower numbers, which can only hurt you in the long run. Reach out to followers of similar brands. This is probably the most direct strategy on this list, and it’s also one of the most effective. Quality followers are those interested in your brand, but you can’t reach out to people randomly and hope they’re interested in you. Instead you have to pre-qualify them. Search for brands on social media similar to you or your business, and check out their follower lists. You know these people are interested in your industry (or niche), so you can almost certainly count on them for a quick, relevant follow. Reach out to them individually, if possible, and recruit them to your brand. This can be as simple as a follow, which often begets a follow in return, or something more personal and direct. It all depends on your goals and your brand personality. Engage with influencers. Influencers are specific brands (usually individual personal brands) on social media with large follower counts and a great deal of influence (hence the name) in the community. One post from an influencer, even a simple acknowledgement of your account, can instantly attract hundreds or thousands of new eyes to your material. If your material is interesting, they’ll stick around for the long haul. To get the attention of an influencer, you’ll have to identify one, start sharing his/her content, and engaging with him/her. Eventually he/she will take notice and return the favor—in most cases. In other cases, you may have to make a request directly. Publish on multiple outside sources. To build an audience, you can’t rely on yourself alone. You have to take advantage of the channels, platforms, and audiences that exist outside your corner of the web. Start by reaching out to similar independent publishers, such as individual blogs or local news outlets, and offer guest posts for publication and syndication; this is a fantastic way to earn inbound links (or you can try professional link building services. Include your social information at the bottom of your posts, and you’ll be exposed to dozens to hundreds of new visitors. Gradually scale your way up to higher-profile, national publishers, and that exposure will rise exponentially. Plus, those outside sources will usually syndicate your post and acknowledge you on social platforms directly. Get involved in niche discussions. Sometimes, making yourself more visible is all it takes to get more followers. Use social listening software or engage in basic searches to find unique discussions happening in your industry. Plug yourself into those discussions with a comment or question, and do your best to answer the questions of others. This is especially useful in LinkedIn Groups, since all members tend to share a common purpose, direction, or goal. From there, you can reach out to the people you engaged with or simply wait for one or two of them to follow you. The more often you do this, the more you stand to gain, and if you want to be known as an industry authority, it’s a necessity. Meet people in real life. It’s an obvious strategy once you think about it, but it’s often neglected in favor of a digital-only approach. Go out of your way to meet more people in real life—you can attend more professional networking events, meet more friends of friends at parties or get-togethers, or even reach out to strangers in the street. Almost everyone has some kind of social media presence, so request their connection whenever you meet someone new. These strategies will help you build your follower counts in a deliberate, reliable way, and ensure that all the followers you earn are actually interested in your brand. The only caveat to this is that it takes a long time—rather than getting 1,000 new followers overnight, it could take you months to gradually build your numbers. Just remember, quality is better than quantity, and patience pays off in the social media world. Remain committed to your core values, and eventually you’ll get the results you seek.